Our custom-built fishing Lodge was designed to give anglers everything they need to enjoy world-class fishing with comfort and simple elegante. 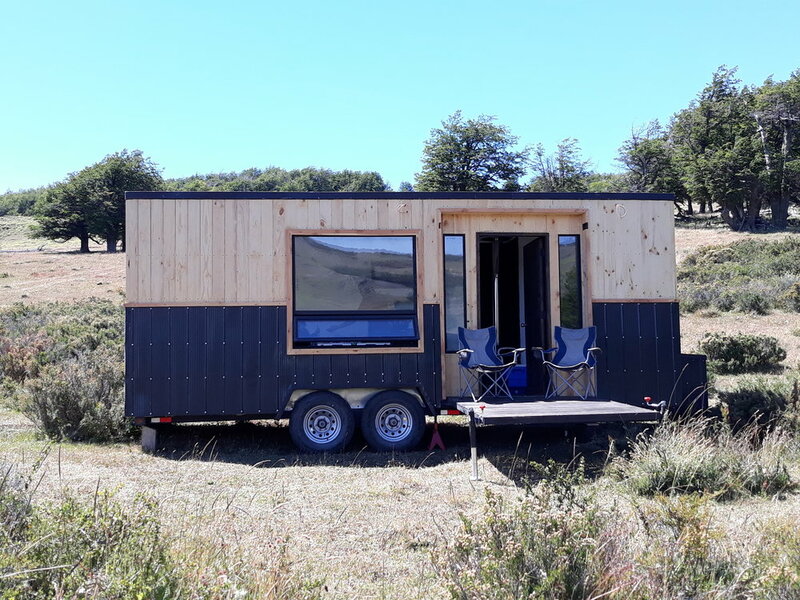 Located just 40 minutes from the Balmaceda airport, and 20 minutes from the regional capital of Coyhaique, your new home has sweeping View over Lago Frío, where rainbow trouts wait eagerly for your fishing line. More than anything, our Lodge offers a cozy respite after long days on the water. Our in-house chefs will have exquisite meals ready and waiting, and a warm fire beckons to share stories and plan the next day`s outing. Built by anglers, for anglers. Come see what it’s all about, in the heart of Chilean Patagonia. "Here at their newly built lodge on the side of a lake in the mountain, Francisco and his wife will welcome you to what many have called a “fly fishers paradise” unlike any other. Ideally located to provide access to some of the best river and lake fishing in Patagonia".